Comment: concrete floor on second story lenie cracked and leaking in bottom floor. Comment: want to add parking area next to single car concrete driveway or replace/enlarge existing concrete driveway to accommodate two cars-might also replace sidewalk with pavers. no idea of the cost of this type of work. want to get some quotes and see what is feasible. 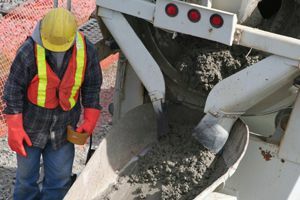 Fort Myers Concrete Contractors are rated 4.68 out of 5 based on 526 reviews of 41 pros. Not Looking for Concrete Contractors in Fort Myers, FL?